Need more information about booking Home 8806883 ? This 1500 sq.ft. Main floor of house and a spectacular 180 degree view from the living room and the enclosed sun deck. The house is outfitted with top of the line appliances including a deluxe gas range and a wine fridge. There is a nice yard at the back the house with even more views plus a hot tub and putting green. 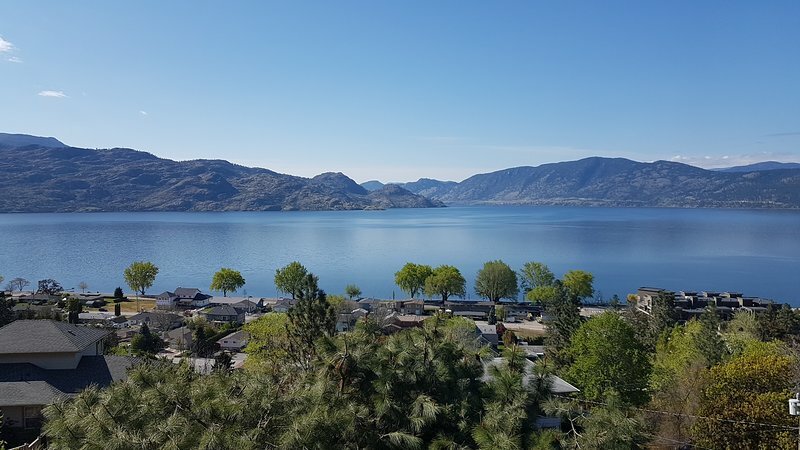 We are situated in the heart of Okanagan wine country and a 3 minute drive to Beach Avenue for shopping, dining, Swim Bay and the city park.